Sayang means love in Balinese. 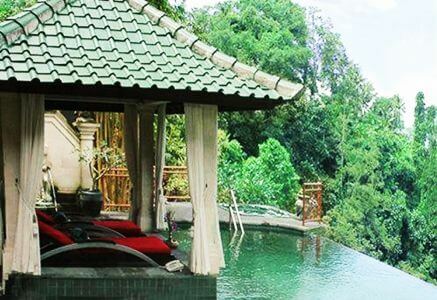 Their Sayang Spa at Tanah Merah Art Resort is the perfect peaceful setting for you to indulge in the age-old traditions of spiritual and physical healing for which Bali is renowned. Their caring and highly-trained massage therapists offer to soothe away built-up tension and mental stress using genuine, traditional Balinese massage techniques with finger and palm pressure, customized for your personal needs. The use of acupressure is part of this massage and will relieve any chronic pain you might have. Balinese massage is aimed at harmonizing the body and soul, and our therapists use the finest, natural aromatherapy oils to soothe your senses and leave your skin feeling glowing and alive. Step out of their Sayang Spa highly refreshed and energized! Treatments are also available upon request in the privacy of your villa.